After 20 years in the racing world, Danica Patrick sets her eyes on a second career. She’s not giving up on racing any time soon but NASCAR driver Danica Patrick is already eying her next move. “At this point and time it’s racing but while I’m in racing, it’s fun to develop relationships and plant the seed about all the other things that I love to do that will go beyond racing,” Patrick tells FOXBusiness.com. 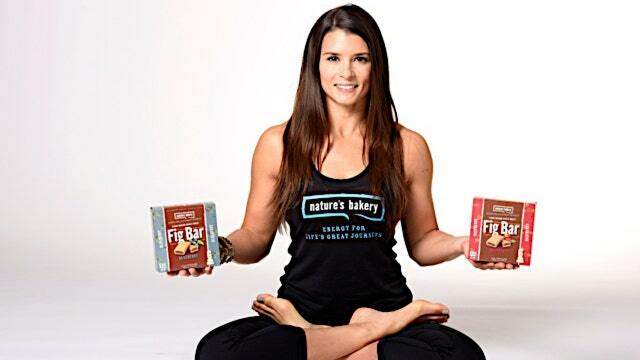 The 34-year-old stock car driver says her social media accounts helped her realize her second passion—health and wellness. Patrick has recently teamed up with Aspen Dental, a branded dental practice with over 500 locations across the U.S., to help veterans get free dental care. “I was really taken back and impressed with how invested they were in getting people to take care of their mouths and one of the things that we talked about was this healthy mouth movement,” she says. Aspen Dental has donated over $6 million in free oral care over the last three years. Patrick says the movement has helped ignite her passion for living an overall healthy lifestyle. “You are what you eat,” the avid cook added. Her Instagram is full of food pictures, ranging from the things she makes herself to promoting healthy on-the-go treats from her official sponsor, Nature’s Bakery. “I don’t think they [Nature’s Bakery] just came about and they just worked. I think they came about because that is what I’m putting out there. That’s what I’m showing that I’m interested in. Authentic is harder and harder to come by in this world and I feel very fortunate that I have partners that are very authentic too,” she says. Nature’s Bakery, a privately held snack and food brand, is happy about the partnership as well. Founder Dave Marson told NASCAR.com that overall sales had grown more than 50% since they entered into a partnership with Patrick and the Stewart-Haas racing team. “I was always confident that it was on an upward trajectory but I hope it exceeded their expectations,” says Patrick. And she’s not stopping there. Patrick is also developing a new clothing line called “Warrior,” that is set to launch in January 2017, and has aspirations for a TV career. As for what’s next in her racing career, Patrick says she won’t quit until she wins a NASCAR series.